Sir Ian McKellen, staff-wielding star of The Lord of the Rings and local Limehouse resident, is celebrating his 80th birthday with a special UK theatre tour coming to Stratford East. 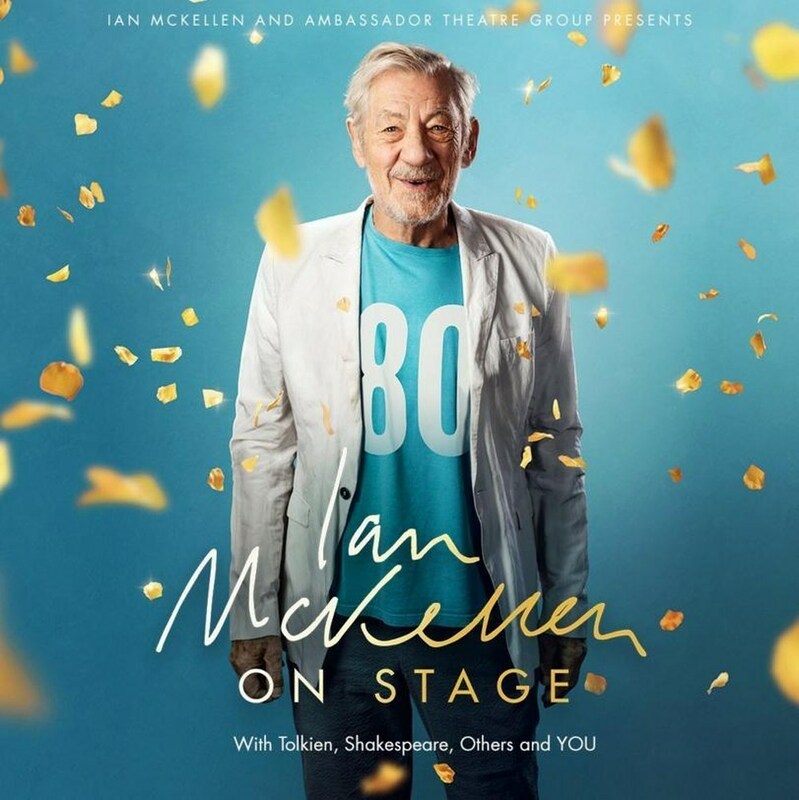 The Ian McKellen On Stage show at Theatre Royal Stratford East starts with Gandalf and will end with an invitation to perform with the actor himself on stage. In-between there will be anecdotes and acting. The performance is a version of the one-man show he presented at London’s Park Theatre last year and will kick off at Sir Ian’s local arts centre, The Space, on the Isle of Dogs on 25 January before coming to Stratford East. The nine months that follow will take in two of the National Theatre’s stages, two more in Stratford-upon-Avon and four dates at the Edinburgh Festival. The Old Vic, the Young Vic and the Bristol Old Vic will also receive visits, as will venues in Jersey, Orkney, Wales and Northern Ireland. To assure all the fans, McKellen has revealed that this tour isn’t his farewell tour, but more like a ‘Hi again!’ reminder. Known to millions as Gandalf in the Lord of the Rings and Hobbit films, the British actor is an Oscar-nominated star of stage, screen and pantomime. Seen treading the boards this year as Shakespeare’s King Lear, his upcoming roles include Gus the Theatre Cat in a live action film version of hit musical Cats. McKellen has lived in East London for over a decade, in a five-storey Victorian conversion in Narrow Street, Limehouse. Together with his second ex-partner Sean Mathias he purchased a lease on The Grapes public house in Narrow Street. ‘I’ve long been a supporter of the pioneering work of Stratford East and I never miss the annual pantomime. I’m thrilled to be making my debut as part of the London Tour of my new solo show and to support Theatre Royal’s work with young people and the local community,’ said McKellen about his Stratford show. Tickets go on sale to the general public at 10am on Mon 12 Nov.
For more information on the event and how to book tickets, visit the Stratford East official site.